Although the current economic situation in Venezuela is terrible for those without the wealth to escape it, it isn’t close to being the worst recorded episode of hyper-inflation. That notorious event was seen in post-WWII Hungary - prices doubled every 15 hours there when things were at their worst, we just can’t imagine how difficult life would have been under those circumstances. Even in Zimbabwe, which “only” experienced the second worst recorded episode of hyper-inflation, prices were doubling roughly every 24 hours. Building a set of these hyper-inflationary notes is one way of learning about the circumstances that lead to such rampant periods of economic destruction, the notes themselves can be a really tangible way of communicating to friends and family members just how bad things can get if the lunatics are allowed to run the asylum! Regarding just what the parameters will be for this collection, I’ve decided to use a paper published in 2012 by two notable economists as the basis for my “set”. "World Hyperinflations” was written for the Cato Institute by Steve H. Hanke and Nicholas Krus. The full title of the Cato Institute is the "Institute for Applied Economics, Global Health, and the Study of Business Enterprise at The Johns Hopkins University”, the paper by Hanke and Krus lists each of the 56 episodes of hyper-inflation that had been recorded by them as at 2012. 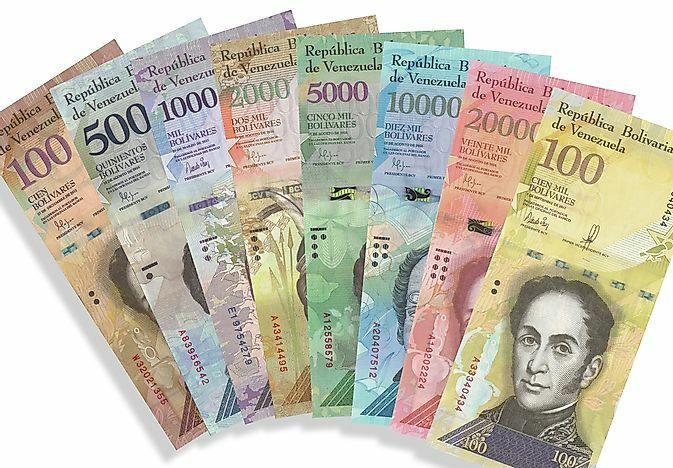 Since 2012, Hanke and another economist Charles Bushnell have since identified that the inflation occurring in Venezuela in November 2016 “...now exhibits the 57th episode of hyperinflation…"
The table by Hanke and Krus lists the statistics of each recorded episode of hyperinflation, so I’ve decided I’m going to collect the highest denomination note from each episode, in superior quality. The good thing about a collection such as this is that the notes are reasonably affordable (the ones I’ve seen so far anyway), and they’re also reasonably readily available. Chasing them down in the right grade and at the right price is challenging, without being a complete nightmare. I expect I’ll potter along with this set for some time - I’m looking forward to learning about the circumstances of each economic episode, I don’t doubt it’ll lead to a whole lot more reading and knowledge. If you'd like to build a similar set, let me know and I'll keep you posted as inventory becomes available.